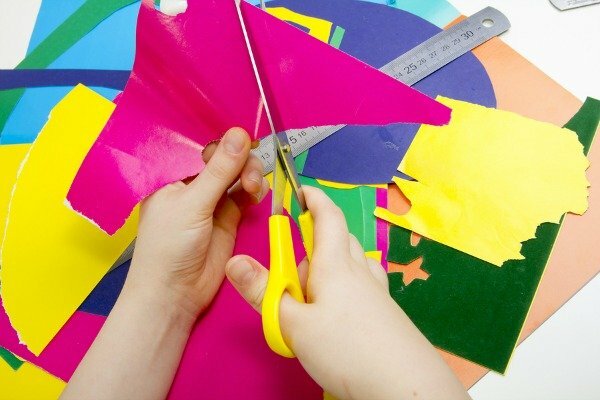 15 Fine Motor Activities For Kindergarteners - The Co. When my daughter started Junior Kindergarten in September, I didn’t have a lot of expectations. She’s known her alphabet, numbers, and shapes since she was 16 months old, she’s reading at a grade 1 level, her vocabulary and communication skills have tripled in the last year, she has a fabulous imagination, and while I’ve been unable to get her to show an interest in learning how to write, I knew she would soon catch on as she and her peers practiced what they learned from their teachers. So the only thing I was really counting on during her first year of school was that she would have a chance to develop her social skills. My husband and I have tried different classes and extracurricular activities with her over the last couple of years, but if I’m going to be completely honest with you, the 3 of us hated most of them. And since our little one is an only child, we’ve kind of left the social aspect of her life to her teachers and peers. It’s working out well and we’re all happy. But when my gal’s teacher pointed out that she’s still struggling with her writing when we met last Friday, it was as if my entire world stopped, and rather than seeing the challenge for what it was, I immediately started to berate myself because I was 100% convinced it was my fault. I felt like my inability to compartmentalize and cope with all of the ridiculous, stressful stuff life has thrown our way in the last 18+ months since my dad died (I seriously have enough material to write the first 3 seasons of a new and highly engaging soap opera) had finally come to a head, and I felt…defeated. I’ve had enough on my plate lately, and this additional stress and worry was the last thing I needed, especially since it involves my sweet, innocent, quirky little girl whom I love with all of my being. So I stayed up too late, ate too many cookies, got a horrible night of sleep, and woke up feeling just as desperate the following morning, but when I walked into my adorable daughter’s room and saw her reading her Peppa Pig books in the dark, I had a moment of clarity and knew everything would be okay. After doing a ton of research about handwriting struggles in kids, I’ve come to realize that her challenges are not only common, but that, with a lot of patience and perseverance, they are often easy to fix. So I started the week with a plan in hand to help me Sweet Bear, and first on the list was to find some fun fine motor activities for kindergarteners the 2 of us can do together to not only develop the skills needed to help with her writing, but to also make her more confident in her abilities. 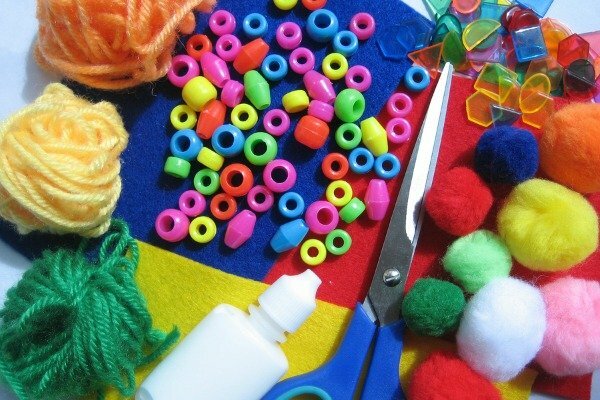 We’re slowly making our way through this list of fabulous fine motor activities I put together, and I hope they help another parent out there as much as they are already helping us! 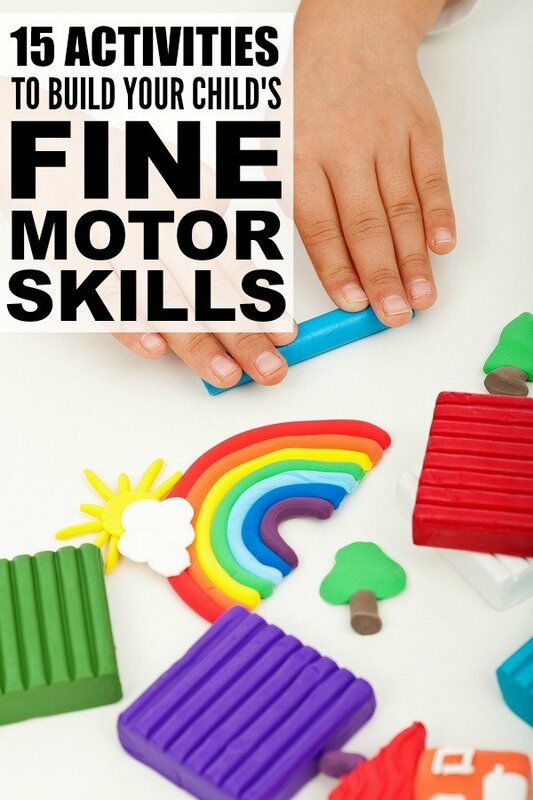 If you found these fine motor activities for kids helpful (and fun! ), please share them on Pinterest! And if you’re looking for other ways to have fun with your kids, please follow our Kids board where we share all kinds of great ideas! This is an excerpt from the article 15 Fine Motor Activities For Kindergarteners which originally appeared on http://www.cloudywithachanceofwine.com/.